The attractive, lightweight mask feels comfortable on your face. Nearsighted and farsighted swappable lens holders let you adjust the headset for use without glasses. The unit comes with a lightweight protective carrying case. You must remove the headset to switch between apps, as navigation within apps relies on individual app design. Getting your phone properly positioned in the headset is a challenge because there are no guides. A separate controller costs $15 extra. 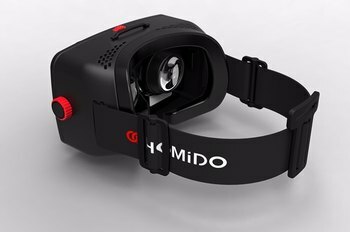 Homido, a Cardboard-compatible VR headset, is lightweight and holds most 4-inch to 6-inch smartphones securely in a tight clip. 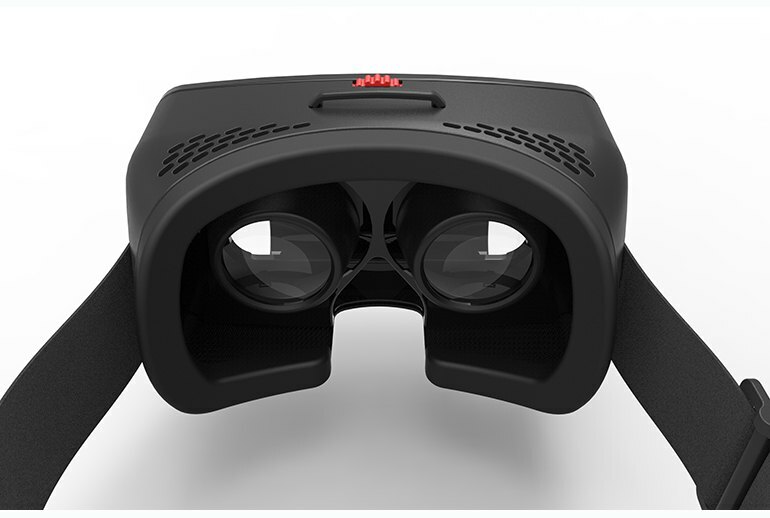 Custom designed VR lenses provide a respectable 100-degree field of view with advanced optical adjustments for nearsightedness and farsightedness located directly on the headset. 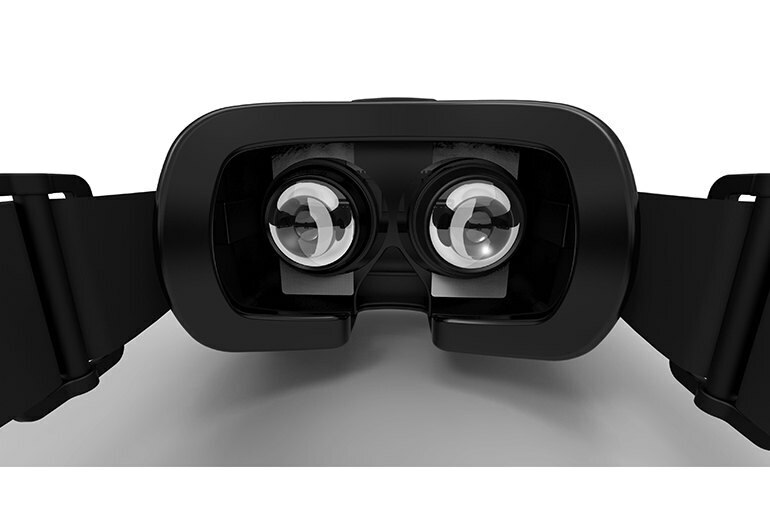 Three interchangeable lens eye caps let you view immersive 360-degree games, 2D and 3D videos, and movies on a theater-style big screen. The dedicated Homido Center app, which offers an abundance of photos, videos, and games, is designed to work specifically with the headset. We also liked a clasp for a mobile. It is a big moving clip that is fixed very tightly. It is hard to remove it to fix the phone, so a good fixation is guaranteed. We were a bit scared by a possibility to make a scrape on glazed and metallic smartphones, because while putting and taking out from Homido the clip contacts with the phone. In theory, it can lead to slight damage of the top part of the body. But our phones are still intact, and we had time to use it to the fullest! 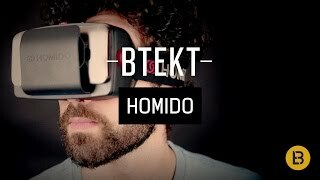 Unlike Cardboard, the Homido’s lenses are made with virtual reality in mind. I was surprised by the large size of the lenses. Don’t worry if you wear glasses, as there are sets of lenses included, so you should be ok to wear the headset with your glasses. There is a companion app available from Homido that helps you find content to view, once installed just fire up the app you want to try, pop the phone in the front, and off you go! Unlike Cardboard and its clever select button on the side, there’s no way to control an app that doesn’t have its own movement-based control system built in. Selecting and playing videos is a pain, for example, because many require the use of the touchscreen, so you need to take the phone out of the headset, start the video, then put it back. 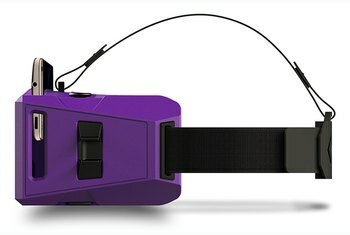 It's basically a superior version of Google Cardboard, the search giant's low-cost VR platform designed to work with a fold-out cardboard mount. The Homido is made of plastic, and as a result is far more studier – and more comfortable to use. The downside is that, since the phone slides under the clip and the clip exerts some pressure while this is being done, there's a good possibility of it eventually scratching your smartphone’s screen, and indeed, this is what has happened to me. It is very easy for a bit of dirt, sand or other grit to come in contact with the phone's glass, and, since the clip exerts pressure onto the back of the phone as you slide it in, this could result in scratched glass. Homido’s headset doesn’t have integrated headphones or fancy buttons on the inside to play some of the games. It kept things simple while still keeping the experience fun. 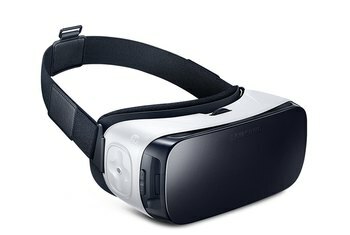 The headset does allow you to use any headphones that you would like for sound or just use your phones speakers. For the more advanced games that require some buttons, I used a third party controller. We like how you have to slide the phone easily into the holder from above, making it easy and quick to insert (and remove) and it leaves the camera and headphone port accessible. Once in, the phone is gripped firmly and we felt quite relaxed about swinging our heads around. The build quality is pretty good. It looks nice and feels classy. 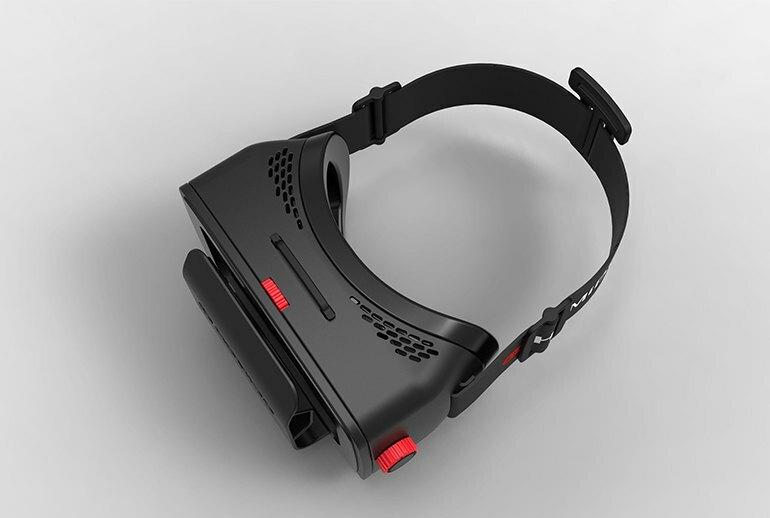 The headset has holes on left and right side which help lessen the huge amount of heat produced by mobiles when VR apps are played in them. 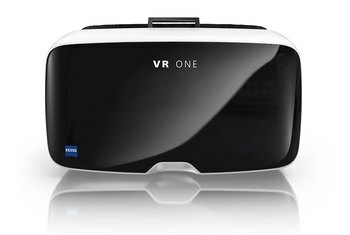 Using VR headsets while wearing glasses has been an iffy process at best. 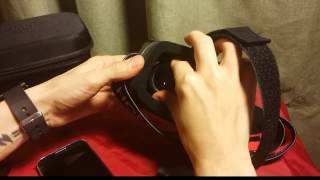 That's actually one of the really awesome parts about the Homido Virtual Headset. They made a real effort to make sure that those of us who wear glasses could still use their product. Allowing a deeper viewing space, adjusting the distance between the two lenses, and giving consumers the Near and Far-sighted lens cones made it much easier to use the headset without having your glasses on. The Homido Virtual Reality Headset is a headset that's been cleverly designed to accept any smartphone you can fit into the front. 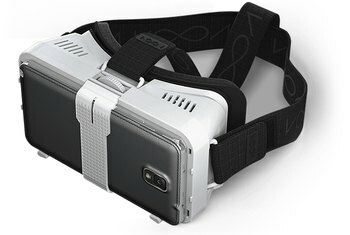 It works on the same system as Google Cardboard, i.e., it has two lenses inside and you view the smartphone you slot into the front displaying content designed for VR. The Homido is a good effort, it has a premium design and it looks scrumptious. Because it lacks the input needed to play the majority of games available, it quickly turns into a one trick pony. 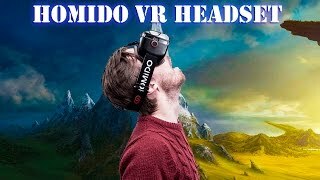 I think the Homido is one of the best headsets to experience virtual reality on your smartphones, everything you want from a virtual reality headset they have it, from the comfort ergonomics, adjustable lenses, 3 vision mode, they really think this through to provide a headset that is enjoyable for everyone, so if you are looking for a decent headset to experience virtual reality this would be a good choice.